You love it or you hate it. It's uses are just about endless. Sausage, meat sauces, salad dressings, soups and stews. Garlic is a member of the lily family, along with leeks, chives, onions and shallots. The bulb - which is the edible bit - grows beneath the ground, just like potatoes. 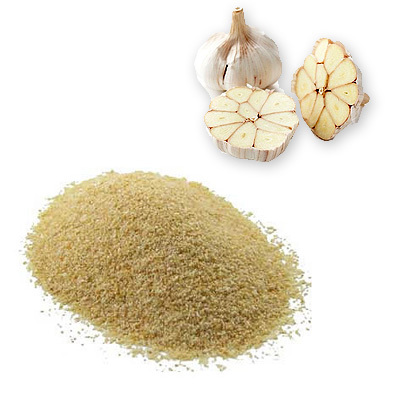 Though available in many forms - fresh, powder and flakes - garlic is such a wonderful spice that not using the fresh variety is almost sinful. It's easy to peel, crush or dice and is one of the more versatile spices available. Remember, the way to know if you have a good garlic press is if you can crush a clove without peeling it. If you can't - time to get a new one. Fresh garlic is best stored in an open container in a cool, dark place. Bulbs should be able to keep for eight weeks at a time - whereas if you break the cloves off individually, they will begin to dry after about three days.